Offering you a complete choice of products which include silicone fluid and transformer oil. We produce and supply one of the best quality Silicone Fluid. This fluid has improved heat stability and comprised of polymeric phenyl siloxanes. Fabricated using latest technology and methodologies, our silicone fluid facilitates great thermal stability improving the lubricating properties from metal to plastic and metal to metal surface. The major characteristic of our range is that their thermal stability is several times more than Dimethyl Silicone Fluids. Therefore, these products are highly suitable for high-temperature applications. We recommend grades of MP 1 and MP 2 for such severe application requirements. Our range contains greater lubricating properties in compared to Dimethyl Silicone Fluids. Moreover, these products have better compatibility with metallic soaps and various other additives that are used in the formulation of lubricants and greases designed for very high or low-temperature applications. 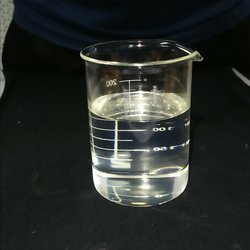 The compressibility property of our range is lower in compared to dimethyl silicone fluids. This facilitates these products to be used in high-temperature hydraulic transmission and in applications, where shear forces are extremely high. These products are insoluble in various substances like concentrated mineral acids, free halogens, anhydrous, homogenates, hydrocarbons and superheated steam. Highly resistant to water, these products are suitable to be used in plastics and other metals.